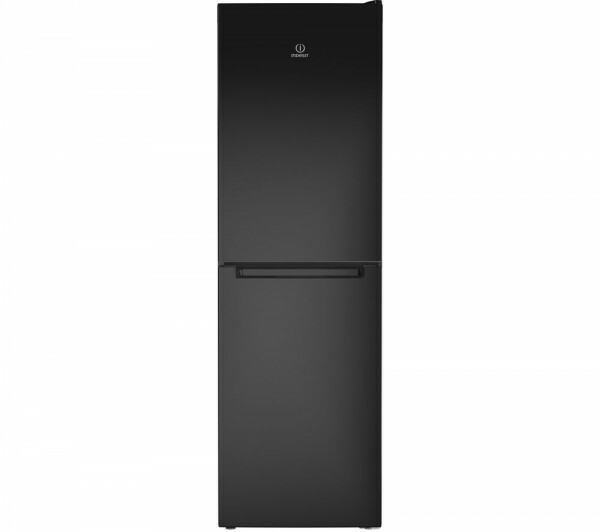 Transform your kitchen with this practical and stylish Indesit LD85F1K Fridge Freezer. Offering an impressive 296 litre capacity, this fridge freezer gives you plenty of storage space for the weekly shop. And with extra freezer space, you can store more of your favourite foods. With frost free technology, ice is prevented from building up within the fridge and freezer compartment, thanks to the improved cold air circulation produced. This means that you no longer have to manually defrost your appliance, saving you time and energy. The Flexi Use Box is designed to provide optimum food preservation. Choose between two positions, the top level at 5°C for your fruit and veg, or the lower level at 0°C for meat & fish. Featuring environmentally friendly technology which earns this fridge freezer a fantastic A+ energy rating, you can efficiently and economically store your food, saving you money on your utility bills.